JACKSONVILLE, Florida, June 28, 2012 (ENS) – Six, not 10, people were killed in the Sunday morning attack by Mai Mai rebels on the headquarters of the government wildlife agency and the nonprofit Okapi Conservation Project’s base of operations in Epulu, Democratic Republic of Congo, onsite observers today confirmed. Now that frightened villagers have come out of the forest where they have been hiding, it is apparent that the six dead are two ICCN rangers, the wife of one of the rangers, an immigration worker and two residents of Epulu. The Institute in Congo for the Conservation of Nature, ICCN, is the government agency of the Democratic Republic of Congo tasked with protecting the wartorn country’s plants and animals. The Okapi Conservation Project, a nonprofit operation located within the DRC’s Ituri lowland tropical forest, exists to preserve the okapi, a unique striped forest giraffe, Okapia johnstoni, found nowhere else on Earth. In the attack, 13 okapi were killed and one injured, according to John Lukas, founder of the Okapi Conservation Project who is based in Jacksonville. “It must be made clear that the Mai Mai rebels are not fighting for a political cause,” said Lukas. 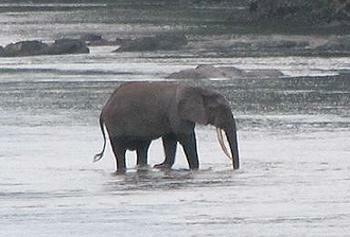 “This group is made up of elephant poachers and illegal miners. They were seeking revenge on ICCN for their valiant efforts to eliminate poaching of elephants and illegal gold mines from inside the Okapi Wildlife Reserve. In addition to the killing of people and okapi, the destruction of ICCN and OCP facilities is extensive, said Lukas. All buildings of both organizations were damaged or burned. Motorized equipment and all computers, printers and satellite phones were stolen or damaged. All food stores and medical supplies were taken. 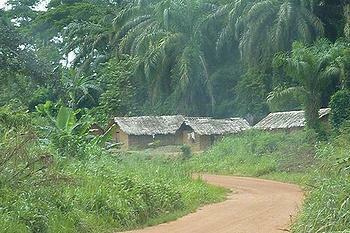 In addition, shops and homes in the town of Epulu were looted and damaged. “All of our thoughts are with the people of Epulu and the families that lost loved ones,” said Lukas, who is also grieving for the okapi that were killed in the attack. The 13,700 square kilometer Okapi Wildlife Reserve contains 101 mammal species and 376 species of documented birds, including some species threatened with extinction. The reserve is inhabited by traditional nomadic pygmy Mbuti and Efe hunters. The population of okapi is estimated at 5,000 animals. Since March, the ICCN and its partners in Epulu have been requesting government assistance as it was clear the rebels intended to retaliate against the ICCN and also against the Okapi Conservation Project’s more than 100 staffers. 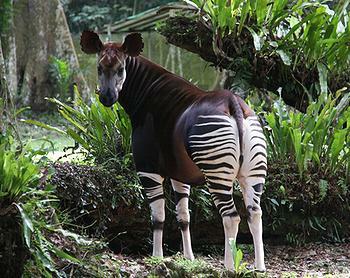 The Wildlife Conservation Network has offered to collect contributions for the emergency fund at: www.WildNet.org/support/, while the Okapi Conservation Project focuses on rebuilding the station and keeping programs operating that aid the local communities. During its annual meeting in Geneva on Wednesday, the UNESCO World Heritage Committee observed a minute of silence in memory of those killed by Simba rebels at the Okapi Wildlife Reserve on June 24. The wildlife reserve was inscribed on UNESCO’s World Heritage List in 1996 and has been on the World Heritage List in Danger since 1997. The Okapi Wildlife Reserve occupies about one-fifth of the Ituri forest in the northeast of the Democratic Republic of the Congo. The Congo River basin, of which the reserve and forest are a part, is one of the largest drainage systems in Africa.